At long last, our new SIA website is live! We have completely redesigned it to more accurately portray our vital brand, and to support a superior member experience. To help you navigate the new site, here is a short video tour. 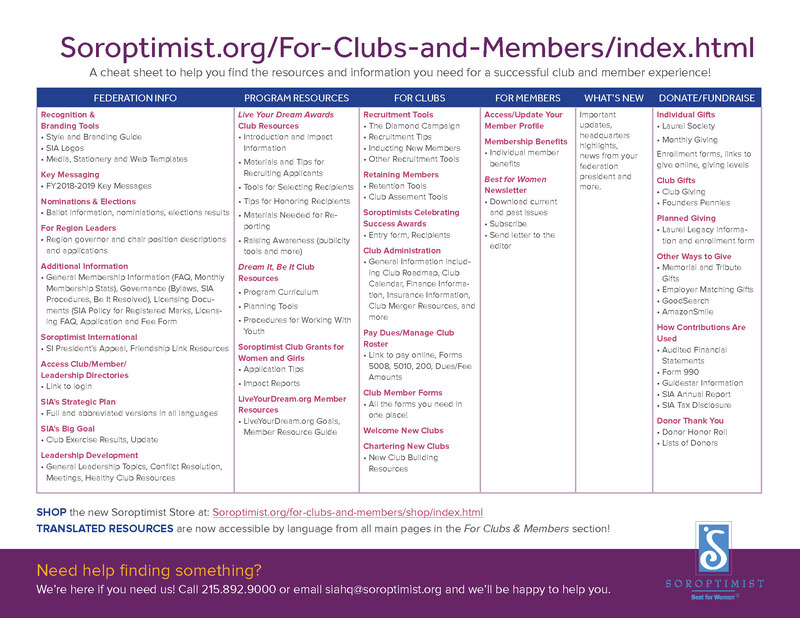 Print this cheat sheet to help you find the resources and information you need for a successful club and member experience! Websites are dynamic and we will be continually working to review and improve the site, as well as optimizing it for maximum marketing potential. We welcome your input and look forward to hearing from you!